Sizing main protective bonding conductors, guidance. Periodic electrical testing will provide: Detection of electrical circuits in case of overloading. Information about any possible electrical shock risk and fire hazards. Identification of any defective electrical circuits. Highlighting the lack of earthing and bonding. An Electrical Installation Condition Report is carried out to provide an engineering view on whether or not the electrical installation is in a satisfactory condition for continued use. How often should an EICR be carried out? Domestic Household – 10 years or change of occupancy. Domectic accommodation Eg rented house and flats – 5 years or change of occupancy. Houses of multiple occupation Eg nurses accommodation – 5 years or change of occupancy. Commercial Property – 5 years or change of occupancy. Industrial Property – 3 years. Educational establishments – 5 years. Shops and Offices – 5 years. Church installations – 5 years. Restaurants, Hotels, Public Houses – 5 years. Caravan Parks – 1 year. Construction sites – 3 months. Technicians for electrical testing: What is the aim of a EICR Electrical Condition Report ? The main aim of a condition report are: Record the results of the inspection and testing to make sure the electrical installation is safe to be used until the next inspection. 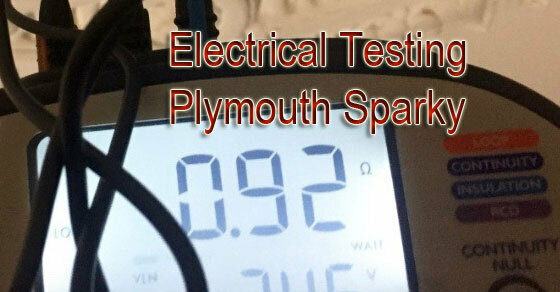 As far as electrical inspection and testing is concerned, it should be implemented by expert professionals, i.e. by registered electricians. They will check the condition of the electrical appliances against the UK standard for the safety of electrical installations, BS 7671 – Requirements for Electrical Installations (IET Wiring Regulations). An Electrical Installation Condition Report is a report not a certificate. It is very much like an MOT on a wehicle. The report provides an assessment of the in-service condition of an electrical installation against the requirements of the edition of BS7671 at the time of the inspection, the age of the installation does not come in to it, the same level or report is carried out. The report is only valid on the day that it was carried out, as is an MOT, it details the condition at that point in time. Each and every observation found in the EICR, will show a level of concern for the safety of the installation, and is given a classification code from the list below. Code C1 : Danger present. Risk of injury. Immediate remedial action required. Code C2 : Potentially dangerous. Urgent remedial action required. Code C3 : Improvement recommended. Fixed Wire Periodic Testing, periodic inspection or PIR has now been replaced by the Electrical Installation Condition Reports (EICR).